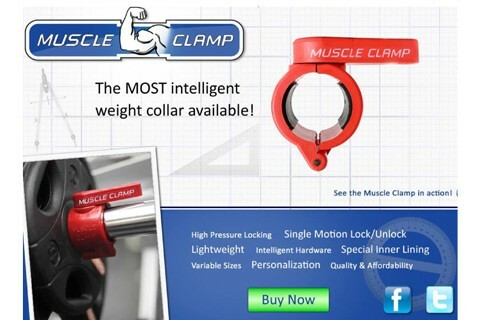 • The Muscle Clamp -- a quick release weight collar that has fast become the weight collar of choice. It's unique features make it a perfect fit for home, gym, school and club use. The design of the Muscle Clamp weight collar encompasses the knowledge and experience of education, coaching, engineering, fitness, strength training, and body building.